This is a list of ancient Greek theatres by location. 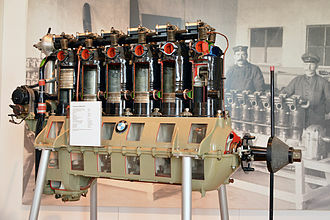 Gytheio, the ancient Gythium or Gytheion, is a town and a former municipality in Laconia, Greece. Since the 2011 local government reform it is part of the municipality East Mani, the municipal unit has an area of 197.313 km2. It was the seaport of Sparta, some 40 kilometres north, Gytheio used to be an important port until it was destroyed in 4th century AD, possibly by an earthquake. Today it is the largest and most important town in Mani and it is the seat of the municipality of East Mani. South, Mavrovouni West, Rachi North, Stefania East, Cranae Gytheio is located in the corner of Mani. Further northeast is the delta of the Evrotas River, offshore are several small islands, the most important of these islands is Cranae, which is connected to the mainland by a causeway. Gytheio is only 40 km southeast of Sparti, connected by Greek National Road 39, the town center is situated around the port. Pine trees are situated in the west and rocky mountains in the north and it is thought that Gytheio may have been the center of their purple dye trade because the Laconian Gulf had a plentiful source of murex. In classical times it was a community of Perioeci, politically dependent on Sparta, in 455 BC, during the First Peloponnesian War, it was burned by the Athenian admiral Tolmides who besieged the city with 50 ships and 4,000 hoplites. It was rebuilt and was most probably, the ground for the Spartan fleet in the Peloponnesian War. In 407 BC during the Peloponnesian War, Alcibiades landed there, in 370 BC, the Thebans under the command of Epaminondas besieged the city successfully for three days after ravaging Laconia. However it was recaptured by the Spartans three days later, in 219 BC, Philip V of Macedon tried to capture the city but without success. Under Nabis, Gythium became a naval arsenal and port. During the Roman-Spartan War, Gythium was captured after a lengthy siege, after the war finished, Gythium was made part of the Union of Free Laconians under Achean protection. Nabis recaptured Gythium three years and the Spartan fleet defeated the Achean fleet outside of Gythium, Gythium was liberated by a Roman fleet under the command of Aulus Atilius Serranus. Aetolia-Acarnania is one of the regional units of Greece. It is part of the region of Central Greece and the administrative region of West Greece. A combination of the regions of Aetolia and Acarnania, it is the countrys largest regional unit. Its capital is Missolonghi for historical reasons, with its biggest city, the area is now connected with the Peloponnese peninsula via the Rio-Antirio Bridge. The surrounding regional units take in Arta in Epirus, a narrow length bordering Karditsa of Thessaly, Evrytania to the northeast, Mountains dominate the north, northeast and southeast, especially the Acarnanian Mountains. The longest and main river is the Acheloos, which ends as a delta in wetlands to the southwest on a fertile valley. The second longest is Evinos, others include the Ermitsa, the Inachos, the regional unit excludes the islands lying to its west, since they belong to the Kefalonia and Ithaca regional units. There is one reservoir and a lake in its central part, lakes include the Amvrakia, the Lysimachia and Trichonida, and artificial lakes and reservoirs include Kastraki, the largest lake in Greece since its creation in 1970, and Stratos. Two lagoons are found in the part of the regional unit, the Messolongi. Its climate tends toward hot summers and mild winters in the low-lying areas. At the highest elevations, summers are cool, and snow, during the Ottoman period, between the 16th century until the Greek War of Independence, the region was called Karleli and formed a province in the Rumelia Eyalet. Evrytania separated from the prefecture in 1948, in the 20th century, ferry services between Rio and the Peloponnese began. And in the 1950s and the 1960s ferry services began to incorporate vehicles, following World War II and the Greek Civil War a number of buildings needed to be repaired. A drawbridge linking the island of Lefkada began in the 1960s, two more dams were added, the Stratos Hydroelectric Dam in the 1980s and another in the late-1980s. The following years, GR-5 bypassed Messolonghi and Agrinion and GR-38 became connected with paved road with Eurytania, in the late-1980s, the by-pass of Naupaktos began construction but after paving the road, the signs did not appear and until 1998, it was left unopened. It became particularly successful during the 4th century BCE, to judge from the intensive building at the site. The hero Amphiaraos was a descendant of the seer Melampos and initially refused to participate in the attack on Thebes because he could foresee that it would be a disaster. In some versions of the myth, the earth opens and swallows the chariot of Amphiaraos, the temenos extended for some 240 metres northeast from the Temple of Amphiaraos along a streambed. The cult, which was public and private, dates to the 5th century BCE. There were many dedications from Greeks, notable Romans, and others, on the southeast side of the streambed there are extensive remains of domestic structures as well as an unusually well-preserved clepsydra. At the Amphiareion, in addition to the annual festival, Greater Amphiareia were celebrated in an agonistic festival of athletic games. 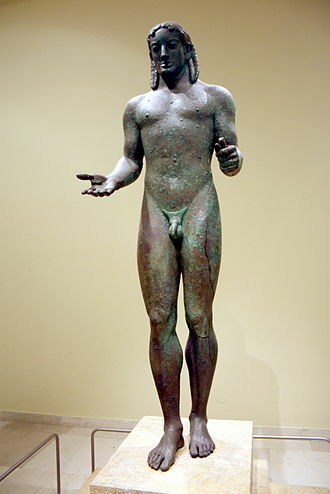 Amphiaraos was worshipped at the site of Rhamnous about 17.5 km southeast, as well as at Athens, Argos and other sites. The cult at the Amphiareion came to an end with the outlawing of non-Christian worship in the Theodosian decrees at the end of the 4th century CE, in 414 BCE Aristophanes produced a comedy, Amphiaraos, of which fragments survive as quotations. Some variation in practice during the nine centuries of activity at the sanctuary may be expected. The baths of the site were famous in antiquity, the locations of a stadion and a hippodrome are unknown. The early 4th-century BCE temple of Amphiaraos was of an unusual Doric hexastyle in antis plan, the antae were capped with half columns, giving the appearance of an octastyle façade. It measures 14 by 28 m Behind the columns was a pronaos, alongside the second pair of columns back from the pronaos there was a base for the acrolithic cult statue of Amphiaraos of which one arm remains in situ. In the rear wall of the cella, there was a threshold, on axis with the center line of the temple, and about 10.5 m northeast, are the remains of the altar divided into sections with inscriptions to a number of gods and heroes. 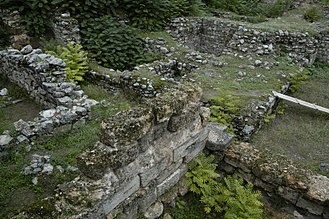 Immediately to the east is the spring, where Pausanias says worshipers threw coins when they were healed of a disease. Immediately northeast of the spring is the structure called the men’s bath. 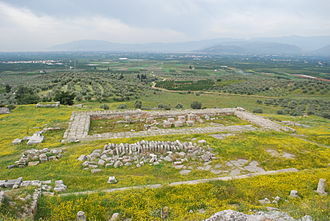 Orchomenus, the setting for many early Greek myths, is best known as a rich archaeological site in Boeotia, that was inhabited from the Neolithic through the Hellenistic periods. Orchomenus is referenced as the Minyean Orchomenus in order to distinguish the city from the Arcadian Orchomenus, according to the founding myth of Orchomenos, its royal dynasty had been established by the Minyans, who had followed their eponymous leader Minyas from coastal Thessaly to settle the site. In the Bronze Age, during the fourteenth and thirteenth centuries, Orchomenos became a rich and important centre of civilisation in Mycenaean Greece, the palace with its frescoed walls and the great tholos tomb show the power of Orchomenos in Mycenaean times. A massive hydraulic undertaking drained the marshes of Lake Copaïs making it an agricultural area. Like many sites around the Aegean, Orchomenos was burned and its palace destroyed in ca.1200 BC, Orchomenos seems to have been one of the city-states that joined the Calaurian maritime League in the seventh century BC. 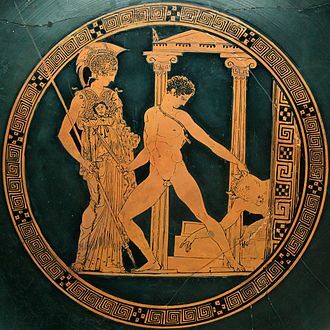 Although their rivals Thebes confirmed their supremacy by the end of the century reflected bu inscriptions, the Agrionia, a festival of the god Dionysus, involved the ritual pursuit of women by a man representing Dionysus. Orchomenos struck its coinage from the mid-sixth century, in 480–479 BC, the Orchomenians joined their neighbouring rivals the Thebans to turn back the invading forces of Xerxes in the Greco-Persian Wars. In mid-century, Orchomenos sheltered the oligarchic exiles who freed Boeotia from Athenian control, in the fourth century the traditional rivalry with Thebes made Orchomenos an ally of Agesilaus II and Sparta against Thebes, in 395 and again in 394 BC. 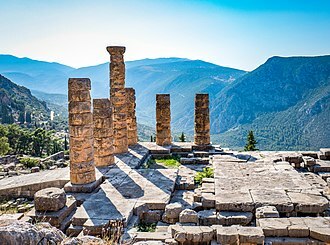 The Theban revenge after their defeat of Sparta in the battle of Leuctra was delayed by the tolerant policies of Epaminondas, although the Phocians rebuilt the city in 355 BC, the Thebans destroyed it again in 349. The broad plain between Orchomenos and the acropolis of Chaeronea witnessed two battles of importance in Classical antiquity. During Alexanders campaign against Thebes in 335 BC, Orchomenos took the side of the Macedonians, in recompense and Alexander rebuilt Orchomenos, when the theatre and the fortification walls, visible today, were constructed. The Second Battle of Chaeronea occurred when Roman forces under Lucius Cornelius Sulla defeated those of King Mithridates VI of Pontus near Chaeronea and this Second Battle of Chaeronea was followed by the Battle of Orchomenus, when Archelaus forces were completely destroyed. Orchomenos remained a town until Late Roman times, when the theatre was still in use. Most excavations have focussed on the early and Mycenean areas of the lower town, in 1880–86, Heinrich Schliemanns excavations revealed the tholos tomb he called the Tomb of Minyas, a Mycenaean monument that equalled the Tomb of Atreus at Mycenae itself. In 1893, A. de Ridder excavated the temple of Asklepios, in 1903–05, a Bavarian archaeological mission under Heinrich Bulle and Adolf Furtwängler conducted successful excavations at the site. Laconia, known as Lacedaemonia, is a region in the southeastern part of the Peloponnese peninsula. The word laconic is derived from the name of the region by analogy—to speak in a concise way, as the Spartans were reputed by the Athenians to do. Laconia is bordered by Messenia to the west and Arcadia to the north and is surrounded by the Myrtoan Sea to the east and by the Laconian Gulf and it encompasses Cape Malea and Cape Tainaron and a large part of the Mani Peninsula. The islands of Kythira and Antikythera lie to the south, the island, situated between the Laconian mainland and Kythira, is part of Laconia. The Evrotas is the longest river in the prefecture, the valley of the Evrotas is predominantly an agricultural region that contains many citrus groves, olive groves, and pasture lands. It is the location of the largest orange production in the Peloponnese, lakonia, a brand of orange juice, is based in Amykles. The main mountain ranges are the Taygetus in the west and the Parnon in the northeast, known as Pentadaktylos throughout the Middle Ages, is west of Sparta and the Evrotas valley. It is the highest mountain in Laconia and the Peloponnese and is covered with pine trees. Two roads join the Messenia and Laconia prefectures, one is a mountain pass through Taygetus. The stalactite cave, Dirou, a major tourist attraction, is located south of Areopolis in the southwest of Laconia, Laconia has a Mediterranean climate with warm winters and hot summers. Snow is rare on the coast throughout the winter but is common in the mountains. In ancient Greece, this was the region of the Spartan state. For much of antiquity the Spartan sphere of influence expanded to Messenia. Significant archaeological recovery exists at the Vaphio-tomb site in Laconia, found here is advanced Bronze Age art as well as evidence of cultural associations with the contemporaneous Minoan culture on Crete. 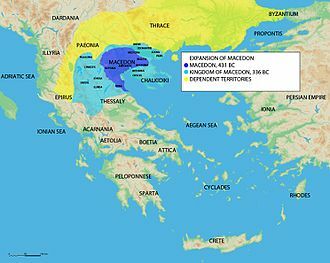 Laconia was at war with the Kingdom of Macedonia and saw several battles, at the end of the Mycenaean period, from the early-2nd century BC until 395 AD, it was a part of the Roman Empire. In the medieval period, Laconia formed part of the Byzantine Empire, following the Fourth Crusade, it was gradually conquered by the Frankish Principality of Achaea. Philippi was a city in eastern Macedonia, in the Edonis region. 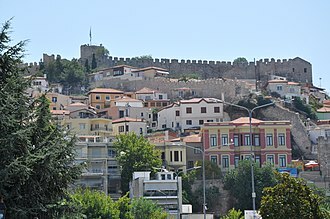 Its original name was Crenides after its establishment by Thasian colonists in 360/359 BC, the city was renamed by Philip II of Macedon in 356 BC and abandoned in the 14th century after the Ottoman conquest. The present municipality, Filippoi, is located near the ruins of the ancient city and is part of the region of East Macedonia and Thrace in Kavalla and it was made a World Heritage Site in 2016. 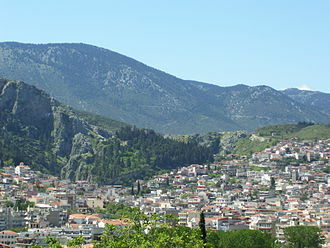 Philippi was established by Thasian colonists in 360/359 BC with the name Crenides, in 356 BC Philip II of Macedon, conquered the city and renamed it to Philippi. Philip II endowed the city with important fortifications, which blocked the passage between the swamp and Mt. Orbelos, and sent colonists to occupy it. Philip had the marsh partially drained, as is attested by the writer Theophrastus, Philippi preserved its autonomy within the kingdom of Macedon and had its own political institutions. The discovery of new gold mines near the city, at Asyla, contributed to the wealth of the kingdom, the city was fully integrated into the kingdom under Philip V.
When the Romans destroyed the Antigonid dynasty of Macedon in the Third Macedonian War and it was Amphipolis and not Philippi that became the capital of the eastern Macedonian state. Almost nothing is known about the city in this period, aside from the walls, the Greek theatre, the foundations of a house under the Roman forum and a little temple dedicated to a hero cult. 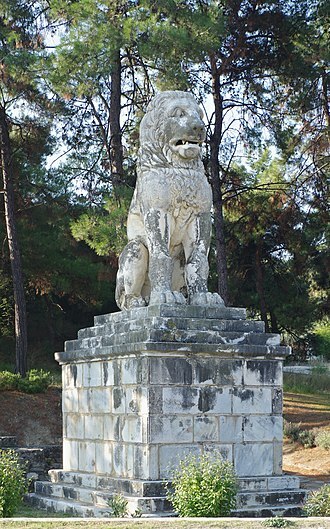 This monument covers the tomb of a certain Exekestos, is situated on the agora and is dedicated to the κτίστης. The city reappears in the sources during the Roman civil war followed the assassination of Julius Caesar. Antony and Octavian were victorious in this battle against the partisans of the Republic. They released some of their soldiers, probably from Legion XXVIII and colonized them in the city. In 30 BC, Octavian became Roman emperor, reorganized the colony, the city was renamed Colonia Iulia Philippensis, and Colonia Augusta Iulia Philippensis after January,27 BC, when Octavian received the title Augustus from the Roman Senate. Arcadia is one of the regional units of Greece. It is part of the region of Peloponnese. It is situated in the central and eastern part of the Peloponnese peninsula and it takes its name from the mythological character Arcas. In Greek mythology, it was the home of the god Pan, in European Renaissance arts, Arcadia was celebrated as an unspoiled, harmonious wilderness. Arcadia has its capital at Tripoli. It covers about 18% of the Peloponnese peninsula, making it the largest regional unit on the peninsula, Arcadia has a ski resort on Mount Mainalo, located about 20 km NW of Tripoli. Other mountains of Arcadia are the Parnon in the southeast and the Lykaion in the west, the climate consists of hot summers and mild winters in the eastern part, the southern part, the low-lying areas and the central area at altitudes lower than 1,000 m. The area primarily receives rain during fall and winter months in the rest of Arcadia, winter snow occurs commonly in the mountainous areas for much of the west and the northern part, the Taygetus area, the Mainalon. 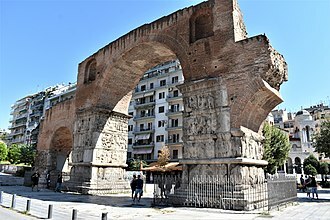 After the collapse of the Roman power in the west, Arcadia became part of the Greek-speaking Byzantine Empire, the region fell into the hands of the Ottoman Turks in 1460. With the exception of a period of Venetian rule in 1687–1715, the phrase is most often associated with a 1647 painting by Nicolas Poussin, known as The Arcadian Shepherds. In the painting the phrase appears as an inscription on a tomb discovered by youthful figures in classical garb, Arcadia was one of the centres of the Greek War of Independence which saw victories in their battles including one in Tripoli. After a victorious war, Arcadia was finally incorporated into the newly created Greek state. Arcadia saw economic growth and small emigration, in the 20th century, Arcadia experienced extensive population loss through emigration, mostly to the Americas. 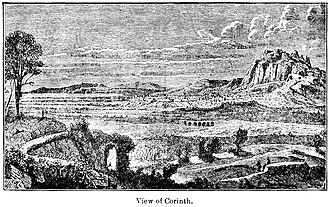 Many Arcadian villages lost half their inhabitants, and fears arose that they would turn into ghost towns, Arcadia now has a smaller population than Corinthia. Demographers expected that its population would halve between 1951 and the early 21st century, the population has fallen to 87,000 in 2011. 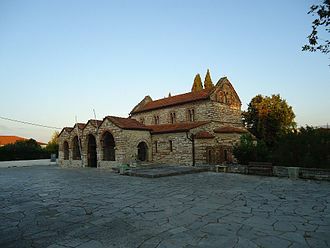 Eretria is a town in Euboea, facing the coast of Attica across the narrow South Euboean Gulf. It was an important Greek polis in the 6th/5th century BC, mentioned by famous writers. Excavations of the ancient city began in the 1890s and have been conducted since 1964 by the Greek Archaeological Service and the Swiss School of Archaeology in Greece. The first evidence for activity in the area of Eretria are pottery shards. No permanent structures have yet been found and it is therefore unclear whether a permanent settlement existed at that time. The first known settlement from the Early Helladic period was located in the plain, a granary and several other buildings as well as a pottery kiln have been found so far. This settlement was moved to the top of the Acropolis in the Middle Helladic period, in the Late Helladic period, the population dwindled and the remains found so far have been interpreted as an observation post. The site was abandoned during the Greek Dark Ages, the oldest archaeological finds date the foundation of the city to the 9th century BC. It was probably founded as the harbour of Lefkandi, which is located 15 km to the west, the name comes from the Greek ἐρέτης, erétēs, and the verb ἐρέσσειν/ἐρέττειν, eréssein/eréttein, to row, which makes Eretria the City of the Rowers. Eretrias population and importance increased at the time as Lefkandi began to decline in importance from c.825 BC onwards. The natural superiority of Eretrias harbour and the importance of trade to the Euboeans is one explanation for this gradual population migration from Lefkandi to Eretria. The earliest surviving mention of Eretria was by Homer, who listed Eretria as one of the Greek cities which sent ships to the Trojan War, in the 8th century BC, Eretria and her near neighbour and rival, were both powerful and prosperous trading cities. Eretria controlled the Aegean islands of Andros and Ceos and they held territory in Boeotia on the Greek mainland. Eretria was involved in the Greek colonisation and founded the colonies of Pithekoussai, at the end of the 8th century BC, however and Chalcis fought a prolonged war for control of the fertile Lelantine plain. View of the Temple of Amphiaraos. Plan of the Sanctuary of Amphiaraus. The open-air exhibition along the Ancient Greek theater in the Archaeological Museum of Piraeus. Ruins of the centre of the city: the forum in the foreground, the market and the basilica in the background. Landscape of Stymfalia with Mount Kyllini. The ancient stadion of Nemea. Remains of the ancient city of Abdera. Location of Abdera and its two successive metropolises, Clazomenae and Teos.